The Kramer VIA GO, which is being labeled as AirPlay Version 2, is a new wireless presentation solution found in all classrooms on campus. It allows you to present devices such as PC, Mac, Android/iOS, and Chromebook wirelessly. Note that you are still able to present using AirPlay the same way as before. This new system only expands support for wireless connectivity in addition to additional features. One of the new features the Kramer VIA GO, AirPlay Version 2 supports is the ability to present up to two devices wirelessly at the same time. For example, if two students want to present their laptops at the same time, they can do so. The Kramer VIA GO also allows you to connect to AirPlay either through their VIA app or through the AirPlay icon in Mac and iOS devices how you normally would with AirPlay. Two simultaneous connections can be made when both users are connected using the Kramer app, or one is using an AirPlay connection and the other is using a Kramer app connection. Two AirPlay connections cannot be simultaneously presented. The Kramer VIA GO has multiple ways in which you can stream videos. The first method allows you to present videos by mirroring whatever is shown on your device. While this method works well, it is not the best way to present videos. Instead, you can present downloaded videos by using the Kramer VIA GO dashboard menu. You can drag and drop the video file onto the “VIA” logo which will automatically play the video on the projector. Alternatively, you can select Features, and the select Multimedia where you can add a library of videos, which can be selected and played individually. Please take this brief Kramer VIA GO AirPlay Version 2 Wireless Presentation survey to let us know what you think about the Kramer VIA GO. Wednesday February 27th at 7am ITS will be transitioning to new DNS servers for the manhattan.edu domain. We do not expect any outages or down time for any services and will have staff closely monitoring for the rest of the week. If you do experience any DNS related issues please email its@manhattan.edu or call 718-862-7973. ITS will be releasing a Virtual Technology Showcase on the Manhattan College ITS Blog that will extend over the course of 12 weeks. The objective of the Showcase is to familiarize the Manhattan College community with the technology found at the college as well as the initiatives started by Manhattan College IT Services. The blog posts will highlight the ways technology can improve your daily experience at the college. Each topic consists of information and instructions regarding the technology for that week as well as a questionnaire at the end asking for various feedback. UPDATE: The generator test in Horan Hall was completed successfully this morning by 10:30am. Physical Plant will be conducting a generator test in Horan Hall Friday, February 22nd at approximately 10am. Please note there have been several instances of Kramer VIA devices freezing. This can happen during a presentation or when you first arrive at a podium. We have reached out to Kramer Technical Support with this issue and are waiting to hear back from them. Review this Frozen Screen Displaying on AirPlay V2 Powered by Kramer KBA to learn strategies on how to address the frozen Kramer issue. EdTech article featuring MC's CIO - Jake Holmquist! 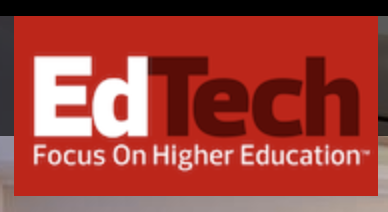 Jake Holmquist, CIO proudly took the time to contribute to a recent article for EdTech. Manhattan College is mentioned for the pursuit of hybrid cloud strategy. Jake talks about how this happened organically for our very own Manhattan College optimizing our data center. Update: Issue resolved February 16th. Turnitin is currently down globally. This is not an issue that ITS can address. Turnitin support is working to resolve the issue. Please check https://twitter.com/TurnitinStatus for updates. Beginning April 16, 2019, Google Hangouts Chat and Meet together are the next version of Hangouts. They will replace the original version (classic Hangouts) in G Suite. Classic Hangouts will be retired for all G Suite customers starting in October 2019 and all remaining users will be transitioned to Chat. This means all classic Hangouts users can also use Chat at chat.google.com or by installing the Chat mobile or computer apps. Learn more about Chat and classic Hangouts interoperability. Hangouts Chat is for continuous text chat with your team. Hangouts Chat was implemented by many people who transitioned from classic Hangouts. The chat app is filled with many features to work productively. Google has included a bot it calls @meet that can look at the schedules of anybody in a group chat and automatically suggest a meeting time then schedule it directly in Google Calendar. For more information review Get Started with Bots! ITS blog post. Hangouts Meet is how teams communicate using video calls, one can easily hold video meetings with people inside or outside their organization. Hangouts Chat and Hangouts Meet are the next generation of Hangouts that focus on team communication. Later this year, Google will transition classic Hangouts users to Chat and Meet. Classic Hangouts is a Google video messaging app. It is being phased out and will be retired for all G Suite customers in October 2019. For more information review material from Google on these apps: Switching from classic Hangouts to Hangouts Meet. For help in getting started with Hangouts Chat please contact: ITS@manhattan.edu or TEL: 718-862-7973. In addition to keeping you up to date on how technology is changing at Manhattan College, subscribing to the ITS Blog will also give you the most current information on ITS News and any outage updates that are occurring across campus. Once you subscribe, you will receive an email notification with a link to the new blog post. Type your email address and select Submit. After you have entered your email you will receive new blog posts by email.